Julie Zeveloff/Business InsiderCan’t pack much when you’re travelling on a plane this small. 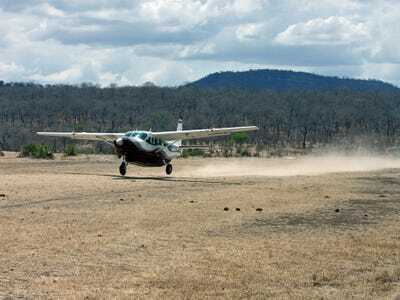 A couple of years ago, I took a 10-day trip to go on safari in Tanzania. That’s because when you travel on tiny charter planes, you are limited to a tiny bag. For me, that meant a bag no bigger than 24 inches across that weighed less than 33 pounds. It amounted to a soccer bag. 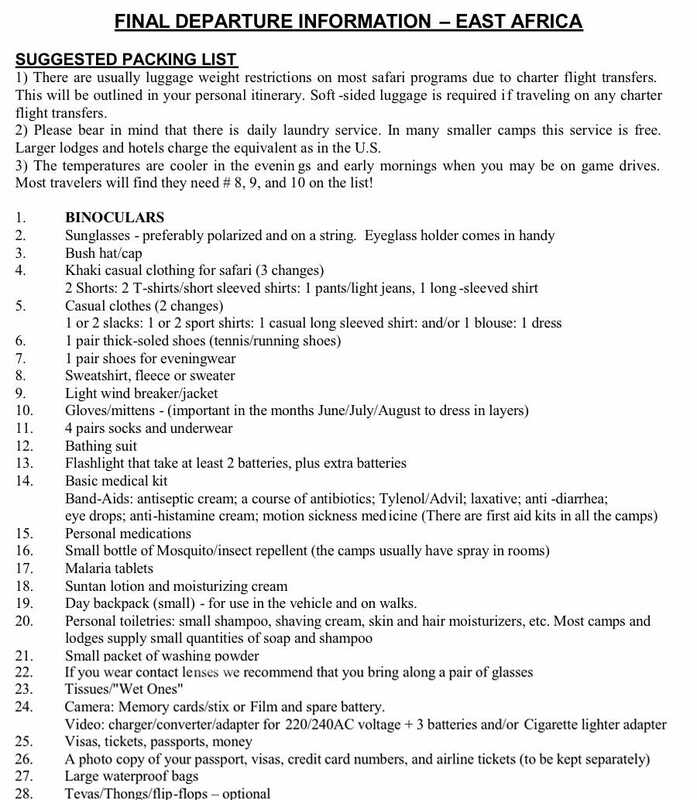 The packing list provided by the Africa Adventure Company, which organised my tour, was pretty comprehensive, and you can find it at the bottom of this post. There were a few items I was thrilled I had with me, a few I wished I’d thought to bring, and a couple that I probably should have left at home. 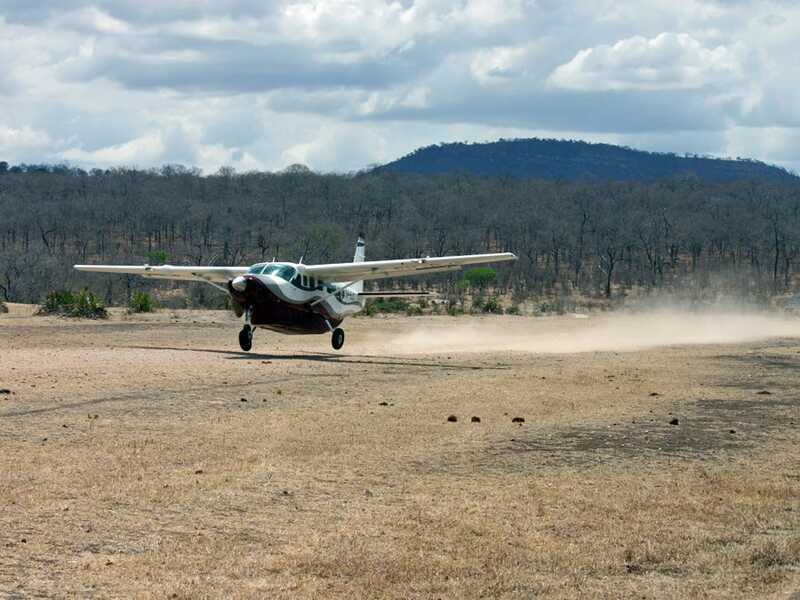 Socks and underwear — most safari camps offer daily laundry service, but bring enough socks and underwear for the entire trip, especially if you are jumping from camp to camp and don’t have time to wait for laundry. Zip-off pants — they may not be stylish, but they’re incredibly practical in the plains, where temperatures fluctuate widely. There were days where I’d start off wearing a fleece and hat at 6 a.m., and change into shorts and a tank top by lunch. Light hiking boots — most of the packing lists I consulted said to bring an old pair of sneakers, but I was glad I wore a lightweight pair of hiking boots. They covered my ankles, were comfortable during walking safaris, and hid the dust nicely. 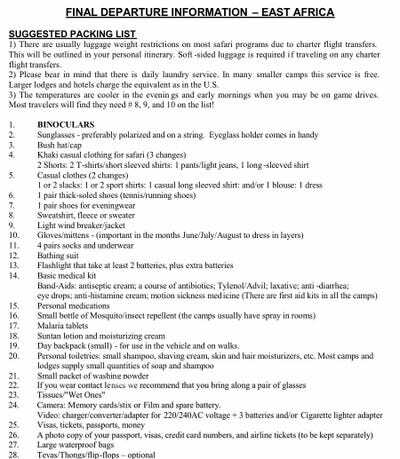 Detergent travel packs — for religious reasons, some camps won’t wash women’s undergarments, so don’t get caught off guard. High-SPF sunscreen — I normally max out at SPF 15 on the beach, but the sun in Tanzania was strong, even under the roof of a safari vehicle. I used half a tube of SPF 50 and wished I’d brought an even stronger sunscreen. Insect repellent — most safari camps are well-stocked with bug spray, but I’d recommend a small bottle of repellent with 100-per cent Deet, especially for people travelling in the rainy season. Headlamp or flashlight — handy for navigating to the bathroom at night, or for reading in bed. Once I was safely in my mosquito netting at night, the last thing I wanted to do was jump out of bed to turn off the light. A paperback book or e-reader — you won’t have much downtime for reading during the day, but it was nice to have something to read at night before I fell asleep — you probably won’t find a TV at any safari camp. Camera-cleaning kit — make sure you pack a lens wipe and cleaning fluid in your camera bag. Your equipment will get dusty in no time. And throw in some spare camera batteries too. The last thing you want is to run out of juice on a game drive. Sandals — flip-flops are OK if you want them to wear in your room, but I never unpacked my sandals. I wore my hiking boots during the day, and at night it was too cold for open-toed shoes. Make-up and dresses — leave them home. Make-up is heavy to carry around, and no one at a safari camp dresses up, even at dinner time. Plus, the nights are cold and pants are a better bet. Bright-coloured clothing — I’d read before leaving that I should pack neutral colours like tan and khaki, and I was glad I did. Bright colours attract animals during game drives, and dark colours attract bugs. Snacks — I always travel with a box of granola bars, but that was a mistake on safari. Snacks — even packaged ones — attract animals, and they will sniff them out in your luggage.